‘The Power of Positive’ means hitting a 300 yard drive and striving to hit it farther the next time (as long as I don’t slice it). A Salisbury (Steak) University BS in Marketing graduate, Scott naturally substitutes the Maryland Terrapins, for his alma mater, when it comes to rooting in football and basketball. (Apologetically, we still use that “steak” joke in every web site update). 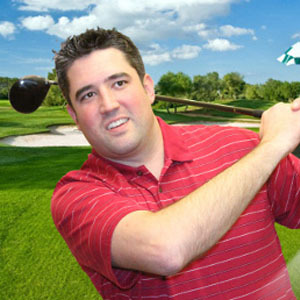 Married with two children, Scott enjoys golf, cooking, landscaping, and attending country concerts. Scott is currently on the Johnston Community College Foundation Board and supports the Leukemia and Lymphoma Society, the NC Children’s Promise, the Raleigh Chamber of Commerce Young Professionals Network Recruitment Committee, the Me Fine Foundation and coordinates our Adopt-A-Highway outings. Occasionally, Scott will grow his mustache in support of some worthwhile cause (or so he says). Virgo’s are “at their best when they are buying or selling material or tangible commodities, as the barterers and traders”, (and even the recruiters), of the world.